The airport of Alicante is actually not located in Alicante, but in the southern area – the municipality of Elche. 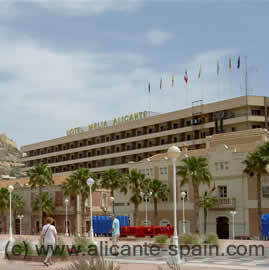 However its named “Alicante International Airport” ( Airport Shortcode ALC ). To get to the airport mostly taking the A-7 (autovia = motorway) or the N-332 (national road). Arriving by car at the airport, can be a bit confusing, since access roads to the two old smaller terminals are still there. With the inauguration of the new terminal building, both old terminal buildings are no longer used. 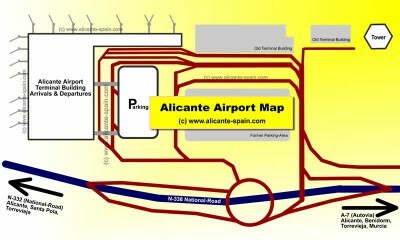 The map below shows you in simple terms how to get to the Terminal Building. 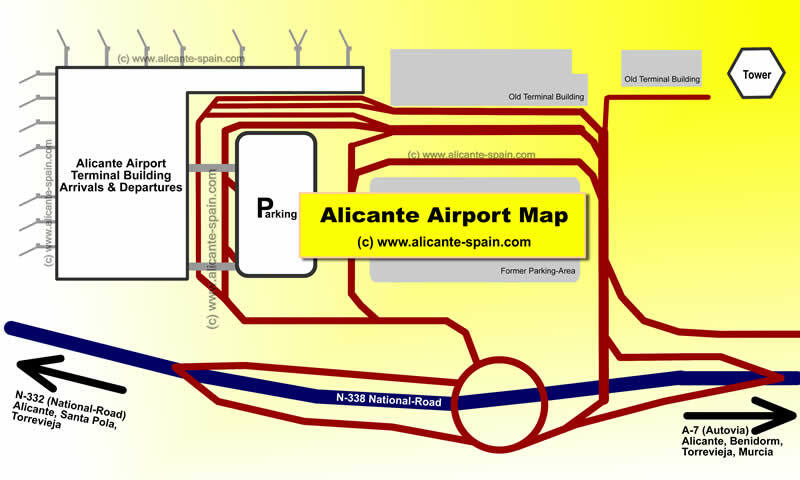 Click here to go back to our main Alicante airport information page.